My Council Services is available on every platform. You can either download our app or login and submit your report online. My Council Services allows you to easily capture information about and report issues such as litter, bulky pickups, parking, street cleaning, trees and noise or to submit a general request or give feedback. You can also catch up on the latest news and events or search for your local council’s facilities. 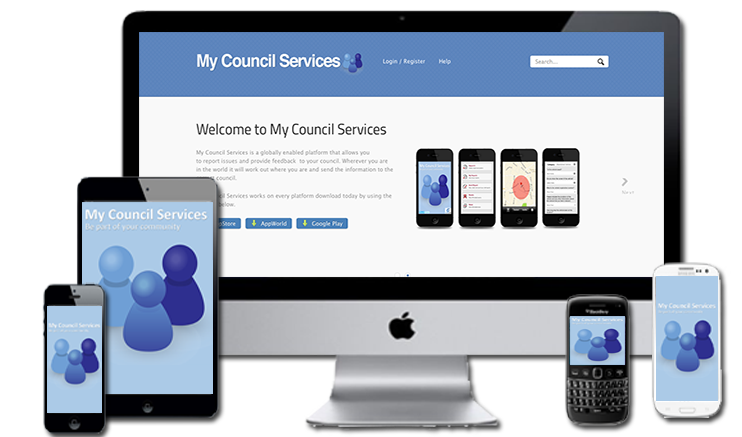 My Council Services is a globally enabled platform that allows you to report issues and provide feedback to your council. Wherever you are in the world you can automatically send information to the right council. My Council Services works on every platform. Download the app today. Badly planned and neglected roadworks cause hours of unnecessary frustration to journeys. There are an estimated 5,000 sets of roadworks in the city each day and it said the resulting congestion cost businesses £4bn a year in wasted time. To minimise unnecessary disruption and ensure works are well managed you can use My Council Services to either report issues or check your area for roadworks. Hit a pothole, found a pothole, or just fed up with potholes? 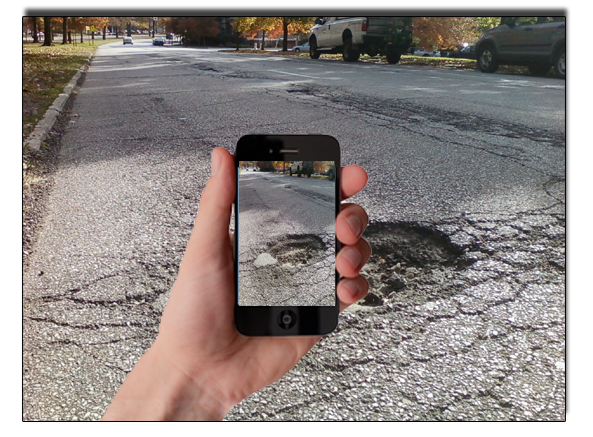 Using My Council Services you can quickly and simply report potholes to the relevant local council. With potholes estimated to cause as many as 1 in 5 mechanical failures on UK roads and costing motorists an estimated £320 million every year, use My Council Services to report them to your council. What features does My Council Services offer? Call your council or find their headquarters, using our location finder. Find the out of hours phone number. 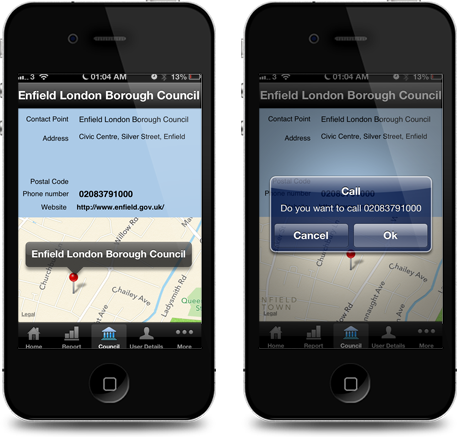 Pay your council tax, library fines, parking fines, gym memberships etc all from the palm of your hand. Get the latest news and information about events from your council. Report potholes, anti-social behaviour, abandoned vehicles and more. Check out road congestion, planning applications, library opening times, bin collection days. Receive automatic updates on the issues you've submitted. Get access to local traffic updates and view all roadworks in your local area. Apply for blue badges, housing benefits, parking permits and planning permission via My Council Services.